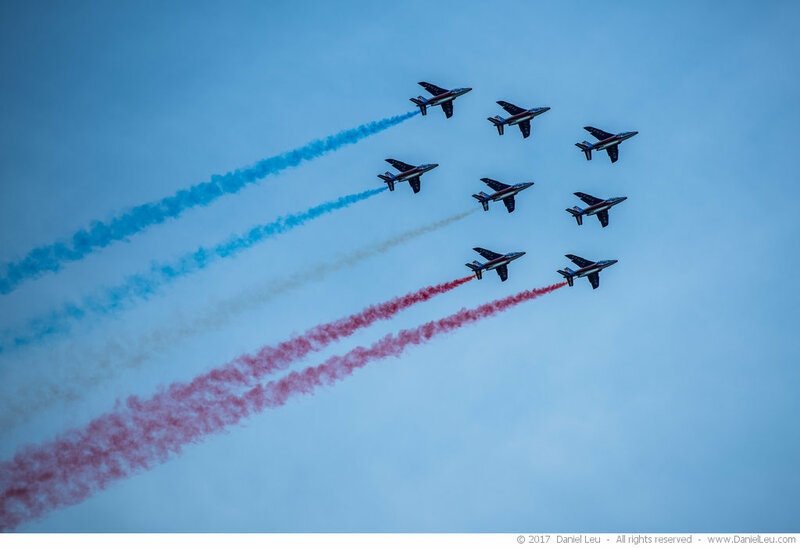 La Patrouille de France is the French equivalent of the Blue Angels. 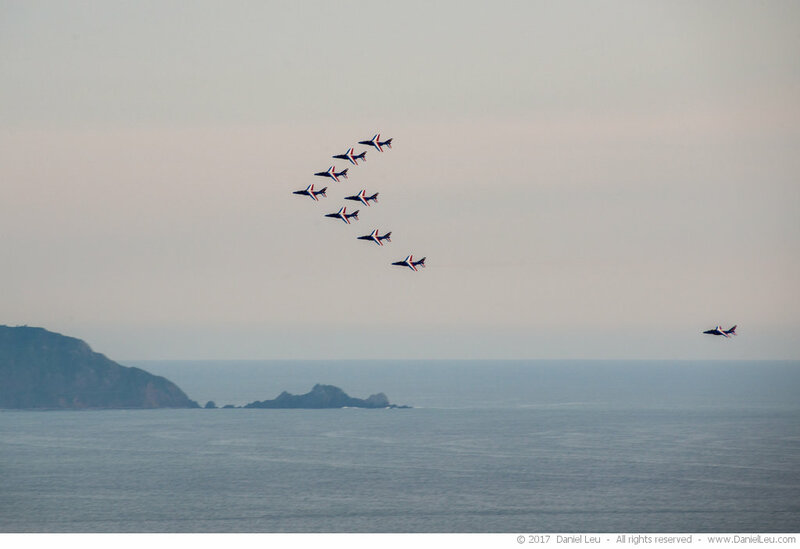 Currently they are on a US tour with their Dassault/Dornier Alpha Jets and an accompanying Airbus A400M. 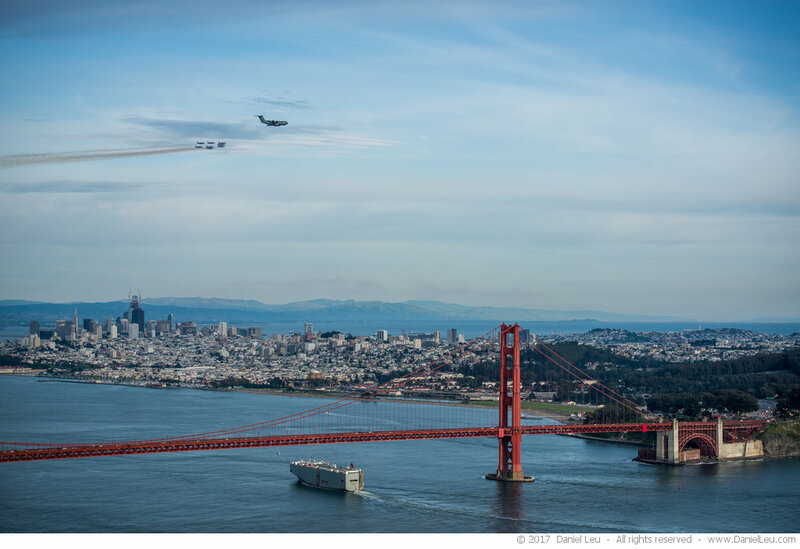 They criss-cross Northern America and had a Golden Gate Bridge flyby here in San Francisco, something I couldn’t miss. 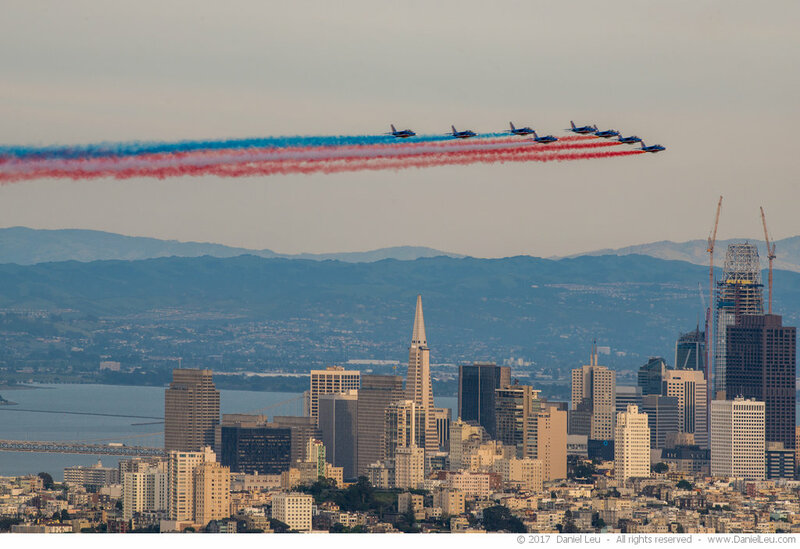 The Alpha Jets flew all over the bay, San Francisco, and the Golden Gate Bridge. Sometimes they disappeared for a while and I was wondering if they were already done. 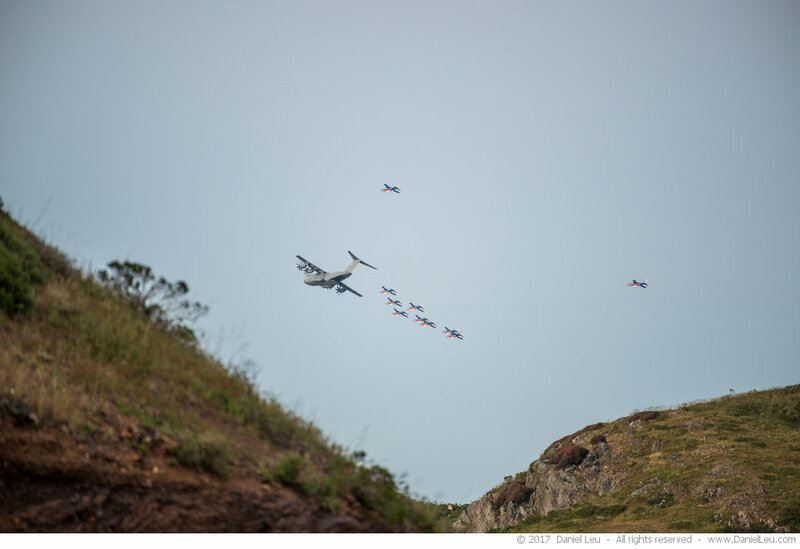 But then they were reappearing over the Pacific Ocean or from behind a hill. 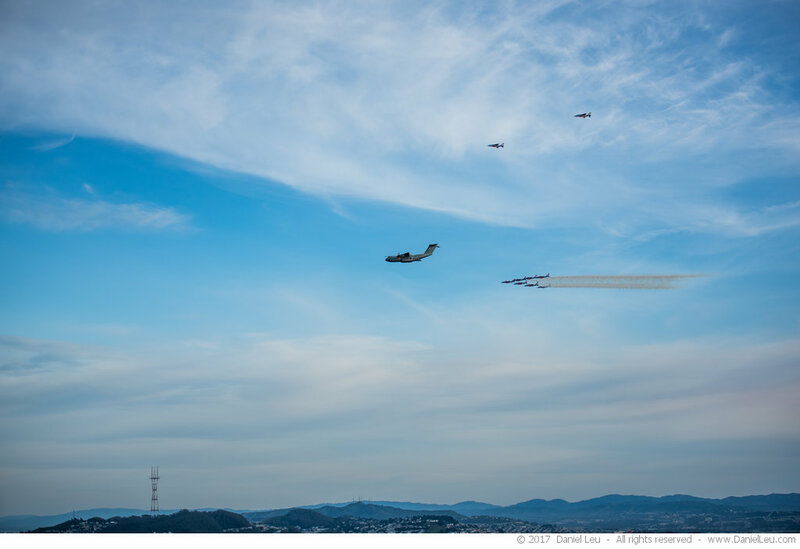 All my images were taken from Hawk Hill where I had a beautiful view of the city and the ocean. 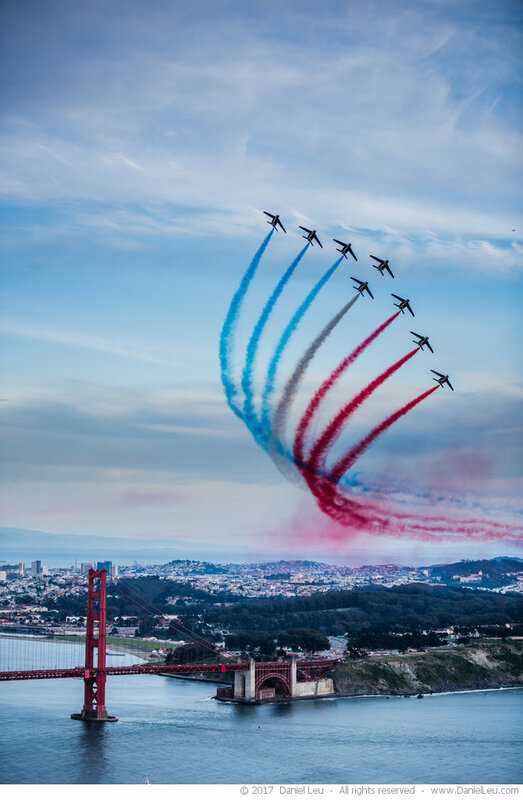 It turned out to be the perfect spot when the planes turned just before the Golden Gate Bridge – and I got my favorite shot of the day. 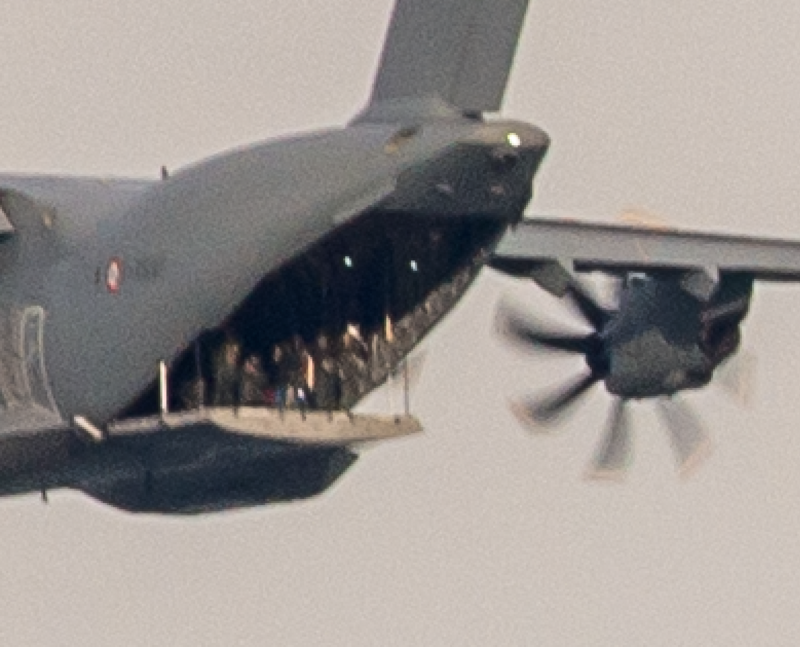 More images are in the PAF airshow gallery. Great pictures, Daniel. Especially that last one. Thank you, Pierre. Yes, the last one is my favorite!